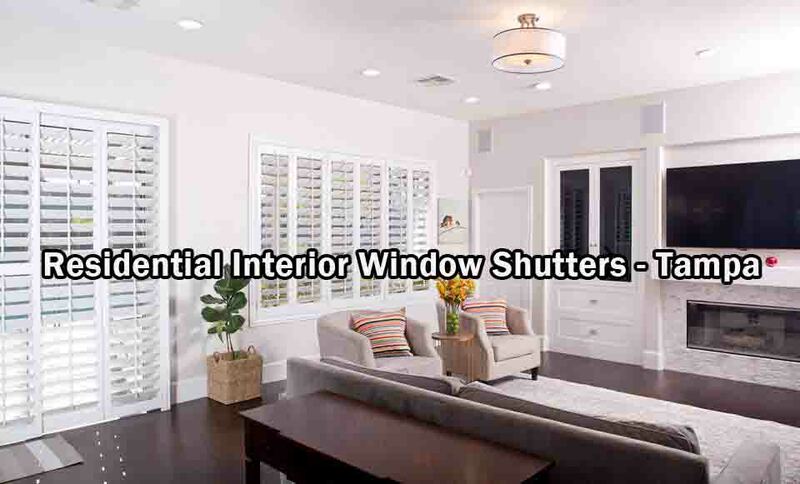 Residential Interior Window Shutters – Tampa – Beautiful custom-crafted window shutters, blinds, shades and curtains for offices and homes here in the Tampa Bay area. Residential Interior Window Shutters – Curtains, Blinds, Shades and of course, Custom-Crafted Window Shutters in the Tampa/Clearwater/St Petersburg area. Beautiful window coverings must also offer privacy, practicality, and longevity. For this reason we have the highest quality products in shutters, shades, blinds, curtains, drapes and window film in Tampa. On top of that, we’ll also custom craft your new window treatments to perfectly fit your windows and your taste. Hile’s fabricates window coverings tailored to you and your home, giving you custom interior shutters and window treatments that will last and last. We bring the Tampa metro area the best of energy-efficient, beautiful – and beautifully operational – plantation shutters, shades, blinds and curtains.